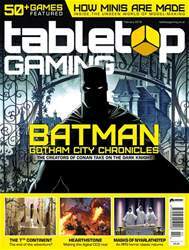 Pandemic is one of the tabletop industry’s perennial bestsellers, and over the years it’s seen a host of spin-ofs and expansions including the campaign-driven Legacy series and a version set in H.P. Lovecraft’s Cthulhu Mythos. One of the most intriguing new directions for the co-op franchise has been the Survival Series, a set of historicallythemed games where guest designers put their own spin on the original’s well-loved formula. 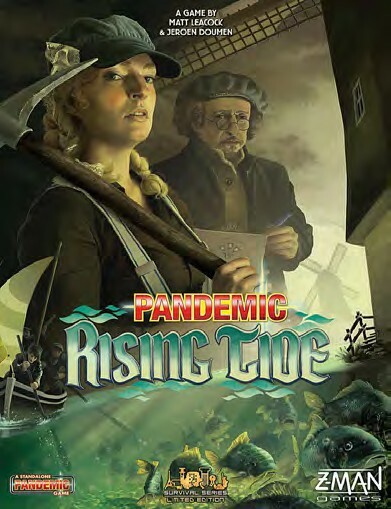 The series got of to a strong start with 2016’s Pandemic Iberia, which introduced some interesting new approaches to the game’s web of interconnected cities. 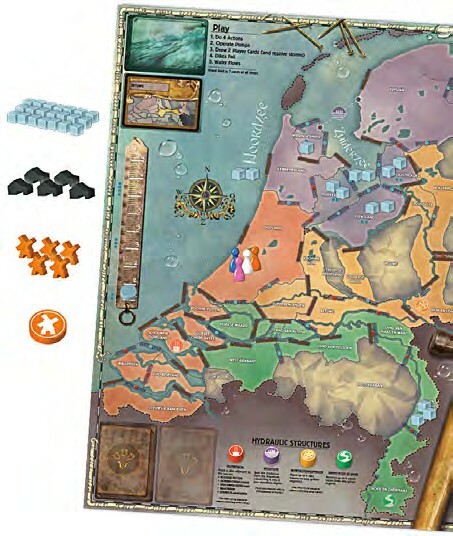 Now Pandemic creator Matt Leacock has teamed up with Jeroen Doumen, half of the Dutch design duo behind acclaimed Euro Food Chain Magnate, to release Pandemic: Rising Tide, which casts players as engineers, architects and planners battling to save the Netherlands from catastrophic flooding.